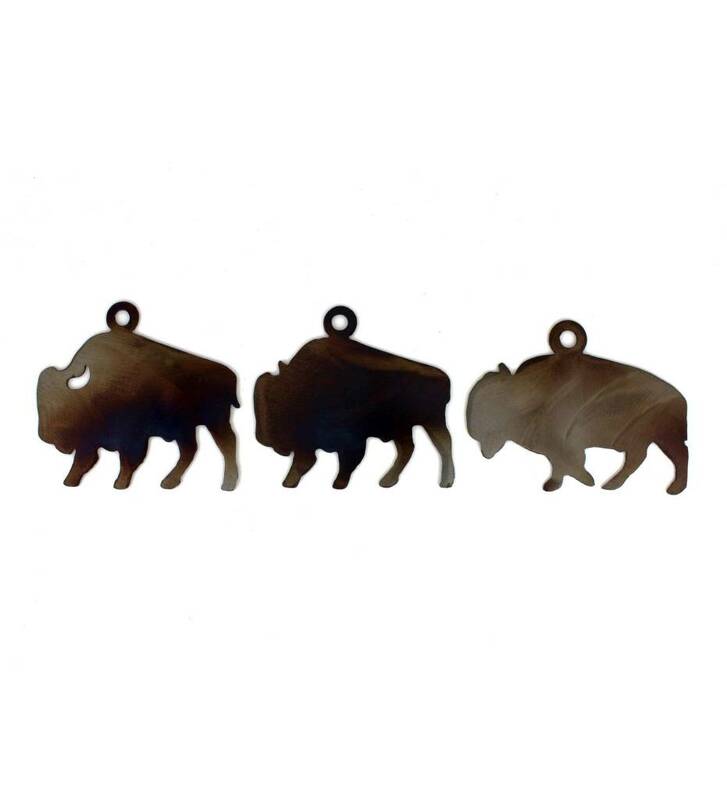 Buffalo Christmas Ornament (Set of 3) designed and handcrafted by Choctaw Artists Blue Metal Worx. Ht. 2 3/4 inches / Wd. 3 3/4 inches / Wt. 1.4 oz.